2 kms from Nyons in a peaceful and green. Relaxation assured. The lodging of Saint Jaume Mas, fully renovated, is adjoining the owners' farmhouse but not overlooked, with separate entrance and private terrace. Covering an area of ​​65 m², it is located in the countryside, on an enclosed terraced grounds. It offers a lounge and kitchen area under a stone arch with a sofa bed. It also has 2 bedrooms (1x160 and 1x140) a bathroom equipped with a double sink unit and walk-in shower and separate toilet. 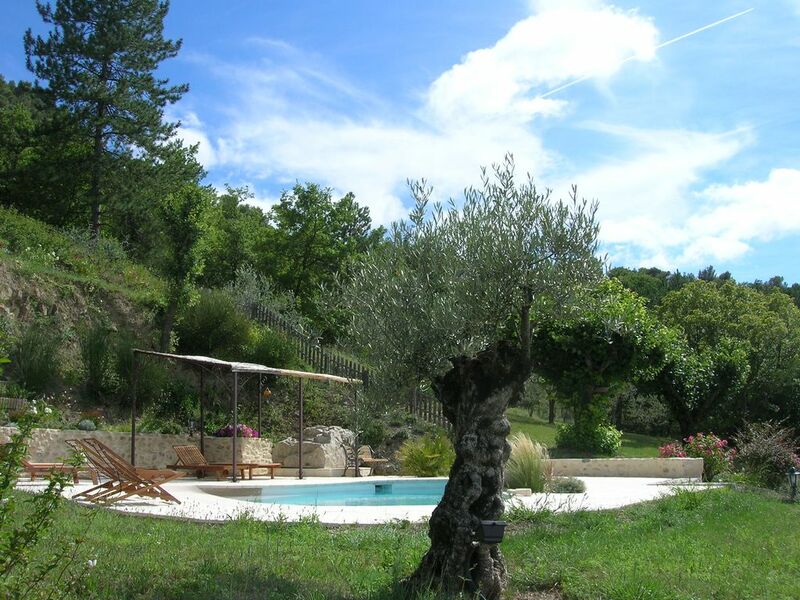 The swimming pool (8x4) overlooking the valley and offers a beautiful panoramic view. You have a privative terrace of 60 m ² with a covered party sheltering a summer kitchen with barbecue and plancha gas. Merci pour votre appréciation, et peut-être au plaisir de vous revoir. Nous avons beaucoup apprécié votre discrétion et la gentillesse de vos petites filles avec Nemo. acceuil auusi agréable que le séjour..
Nous avons été bien accueillis avec un beau feu de cheminée et un pt panier garni ..